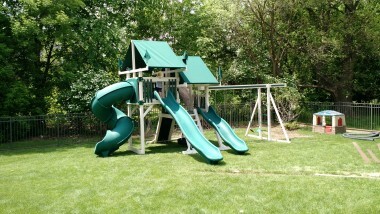 All of our vinyl playsets are maintenance free and come with a 20 year residential warranty. In-stock discounts going on now. Many models currently in stock to choose from. 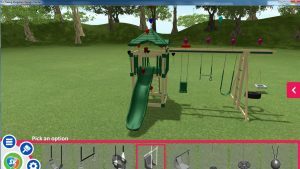 You can also use the Swing Kingdom Design Center to build a custom playset that meets your need exactly. Just click on the picture below and have fun building!